Amazon’s Black Friday 2017 sales hit a record high of $2.4B across its three major sites in the US, UK and Germany. 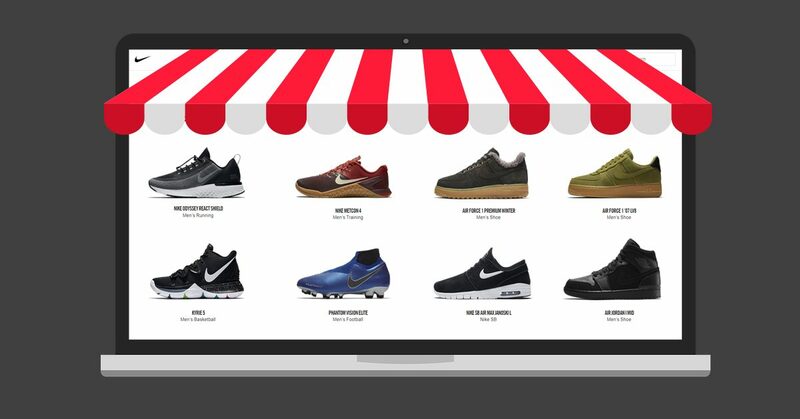 With 2017 Black Friday numbers coming in, it’s clear that this year has been record-breaking, with online sales in particular boasting a really strong showing. What is equally clear is that Black Friday is now a global e-commerce phenomenon, a day that retailers, especially in e-commerce, cannot afford to miss. We have looked into some of the trends and performances of Black Friday 2017, to identify what really went down. In particular, we focused on the giants, specifically Amazon.com, Amazon.co.uk and Amazon.de. The US market dominated, as could be expected, hitting $1.8bn in sales; at peak hour, which was 1pm EST, there were 2m transactions taking place. Interestingly, the UK market was much stronger on Black Friday than the German one. 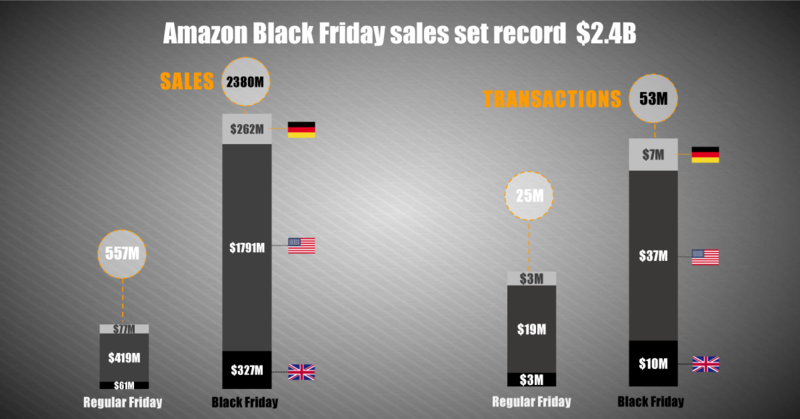 Whereas on a regular Friday, sales of the two markets are similar at around $70m, on Black Friday the UK’s sales of $327m easily bested the Germans’ $262m. The transaction numbers confirm this; where both register around 3m transactions on a regular Friday, this jumped to 10m for the UK and only 7m for the German market. Across the three markets, there were a total of 53m product transactions. In the US alone we counted almost 10m orders with an average order value of $175. 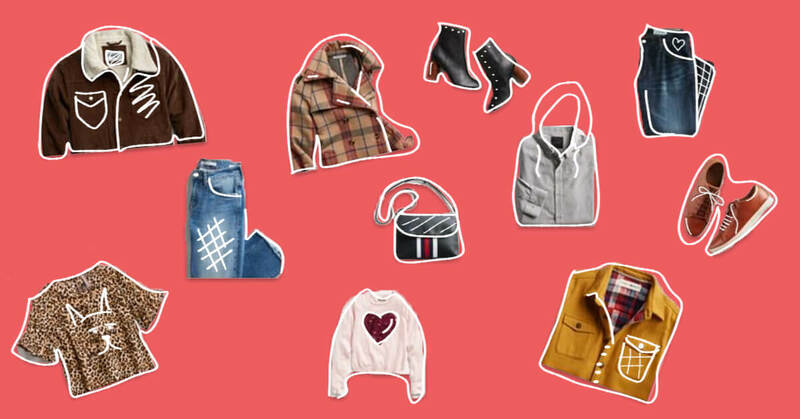 Amazon Black Friday came hot on the heels of “Singles Day”, a predominantly Chinese online shopping extravaganza, driven by Alibaba, that took place on November 11. This event resulted in $25bn in online sales, which is 5 times the amount generated online by Black Friday in total US online shopping. In fact, at some points during Singles Day there were 256,000 transactions happening per second. If anything however, this only demonstrates the bright future and massive potential that lies ahead for e-commerce. Singles Day was part of a unified and focused campaign by Alibaba, whereas Black Friday (and Cyber Monday) remain more distributed. With that said, let’s dive into a comparison of transactions, total sales and peak hours between regular days and Black Friday, to unpack what happened on one of the biggest shopping days of the year. Who were the big winners? Who surprised, and who disappointed? Overall, there was a tight race for the number one spot. It was neck and neck between Amazon and Samsung, with Samsung pulling ahead to net $107m in sales to Amazon’s $101m. 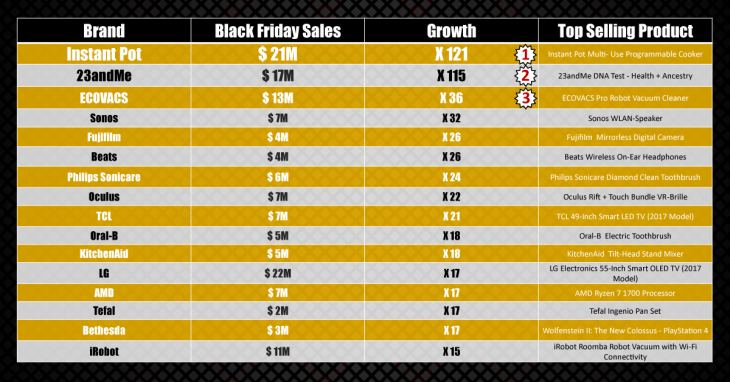 The companies really showed how to “win” Black Friday, as their regular Friday sales average $15m and $11m respectively. Sony was a distant third at $46m in sales, although they can be proud as they beat out Asus who finished on $36m, but who usually beat Sony on regular Friday trading. 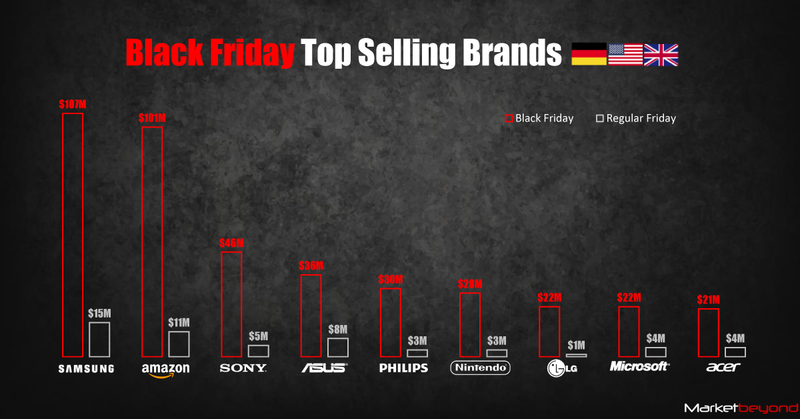 Phillips, Nintendo, LG, Microsoft and Acer round out the list. 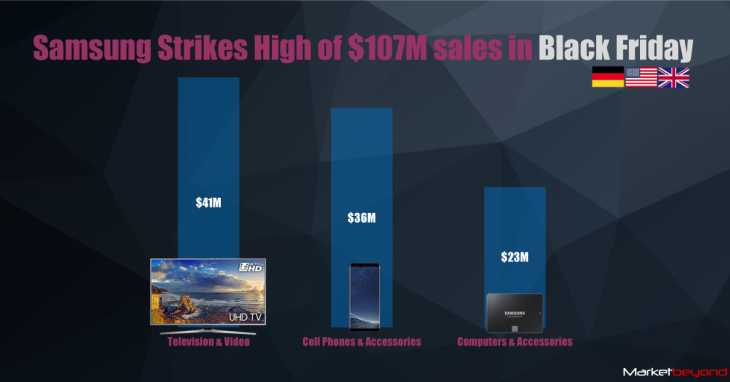 Categories making a big impact for Samsung to propel them beyond the $100m mark, were their their Smart TVs (Top product was 55” Freesat HD TV) with $41m in sales, Mobile Phones (Top Product being Galaxy S8 64GB Black) with $36m, and Computers & Accessories (Top Product was SSD 500GB) with $23m in sales. When we zoom in to a per-geo view, Amazon actually just beat Samsung in the US, with Asus garnering only half of these two giants’ sales. 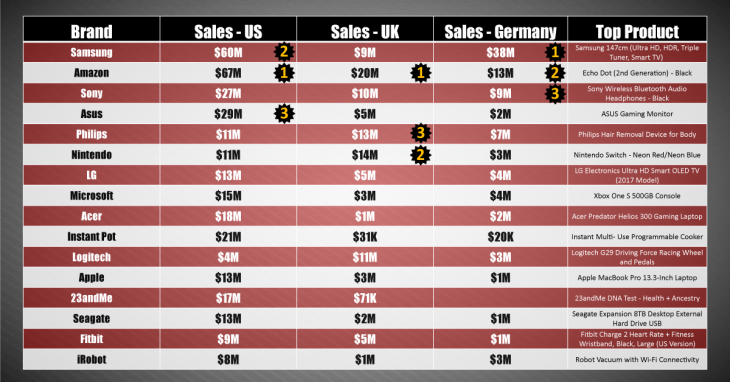 In the UK, Amazon again came out on top, with Nintendo and Philips next, and Samsung being overtaken by the likes of Logitech and Sony. 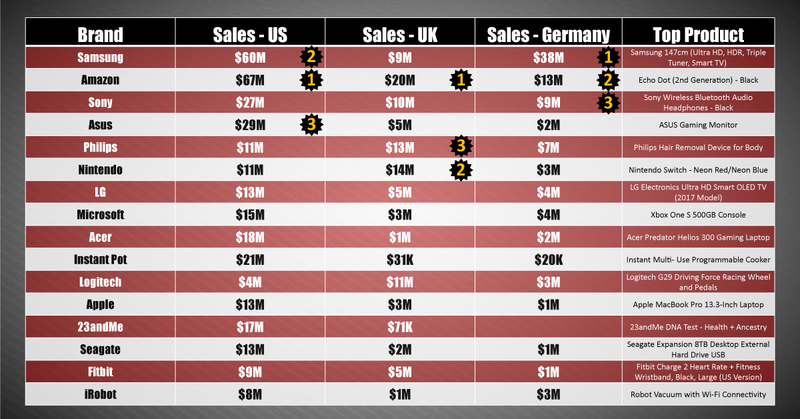 In Germany, it was again Samsung, Amazon and Sony, in that order. 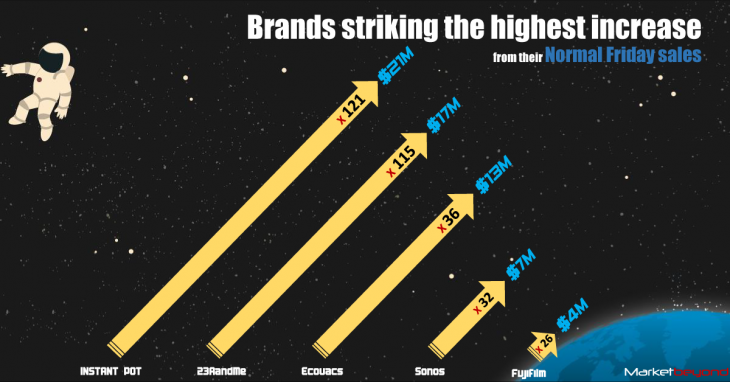 Then there were brands who made a massive impact, far outdoing their regular Friday sales, and clearly doing something right for Black Friday 2017. Instant Pot was again the top seller, mainly boosted by a strong showing in the US market, and posted 121 times its regular Friday sales. 23 and Me’s DNA test kit rocked 115 times its regular sales, ECOVACS’ Pro Robot Vacuum Cleaner recorded 36 times its regular sales average, and Sonos, Fujufilm and Beats all posted phenomenal growth numbers. There are so many learnings to take from the craziness that is Black Friday, and each stakeholder will have different lessons learned, measuring against different indicators and KPI’s. 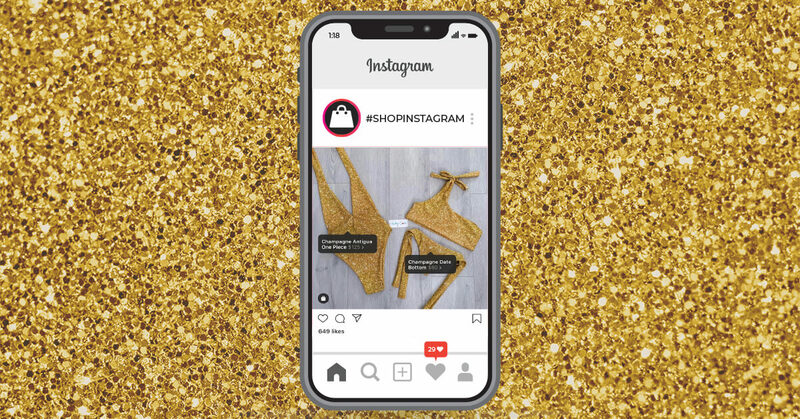 What is clear is that there is a ton of data to learn from, that there are specific trends and insights to be gained, and that Black Friday is now most certainly a global e-commerce phenomenon. These trends are indicative of a growing tidal wave of momentum that e-commerce is building up, and the successful businesses of tomorrow are quickly applying the learnings of Black Friday 2017 to make every single day a resounding success.